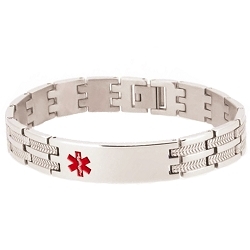 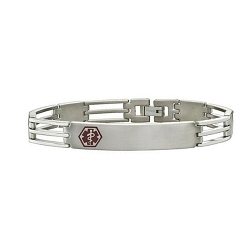 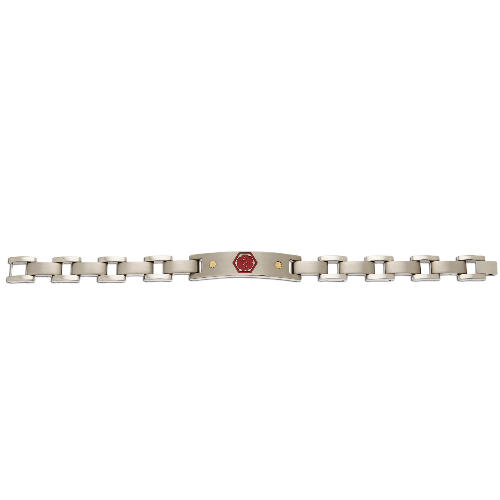 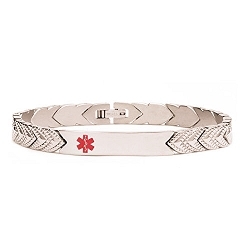 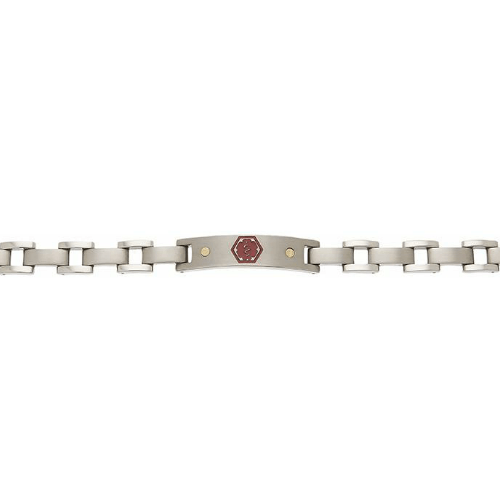 Titanium modern medical ID bracelet with red enamel medical alert symbol. 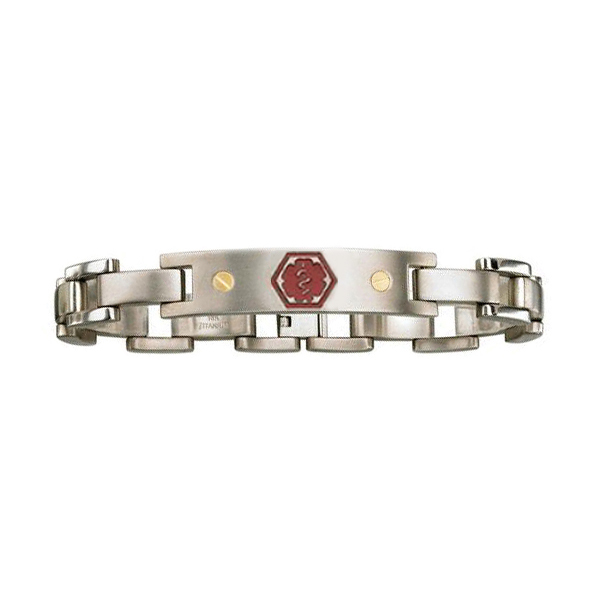 The symbol is flanked by two decorative 18K yellow gold imitation screws. 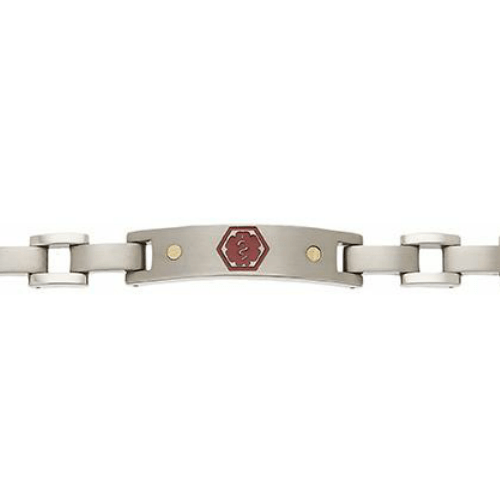 Bracelet width is slightly under 1/2 an inch.